Don’t Rejoice! This is NOT the Activa 6G! 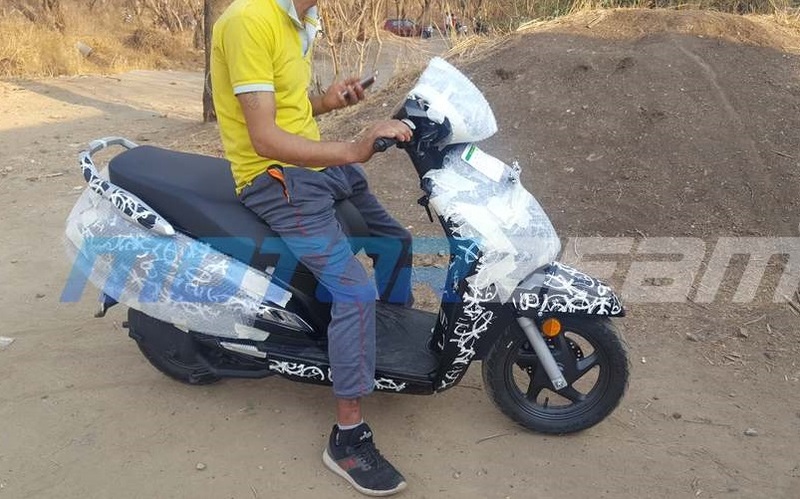 2019 Activa 125 pics have surfaced on the internet. It is being projected as the new Activa 6G by some portals which is giving a hope of telescopic shock absorbers on the largest selling scooter. 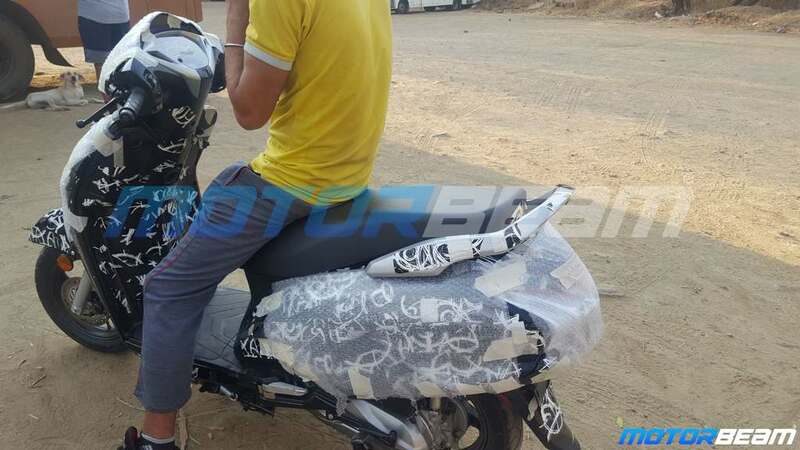 Spy pics of a camouflaged scooter have been shared by MotorBeam. Right from the original source to most of the portals which have picked up pics from them, including some big ones, are calling it the new Activa 6G – an upgrade to the largest selling Activa 110! Which means, according to their reports the Activa, finally, after eternity is being projected to get telescopic shock absorbers! However, we suggest do not rejoice so soon! Because this doesn’t appear to be the Activa 110 to us at all! Expecting Honda to offer telescopic shocks-ups and disc brakes all at one go would be too much! In all probability, this is the new 2019 Activa 125. What gives it away is that 12 inch front tyre (Activa 110 gets 10 inch tyres both at the front and rear). These alloys are currently already in use on the Activa 125 further consolidating our belief. The speedometer assembly continues to be inspired by the current Activa 125. 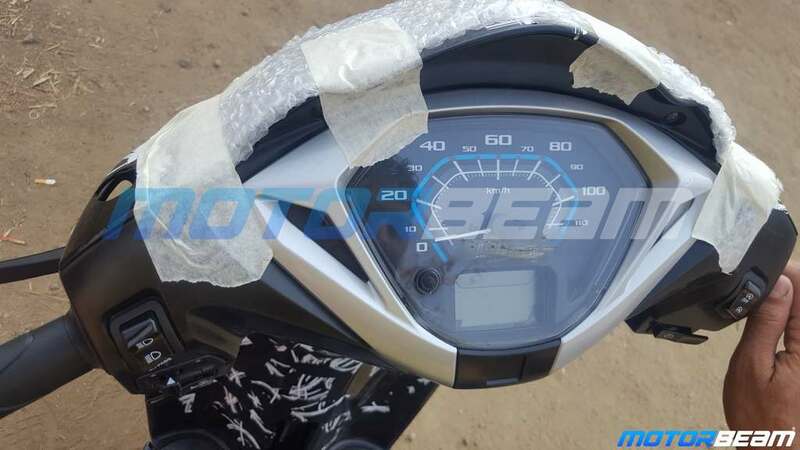 So, what Honda (or probably ARAI since this was caught testing near their office) is testing is the new 2019 Activa 125 which may or may not get a BSVI engine. But it will surely get Combined Braking System (CBS) and a wee bit of cosmetic changes as a part of the refresh process. Which also means that there is no evidence yet that Activa 110 will get telescopics! 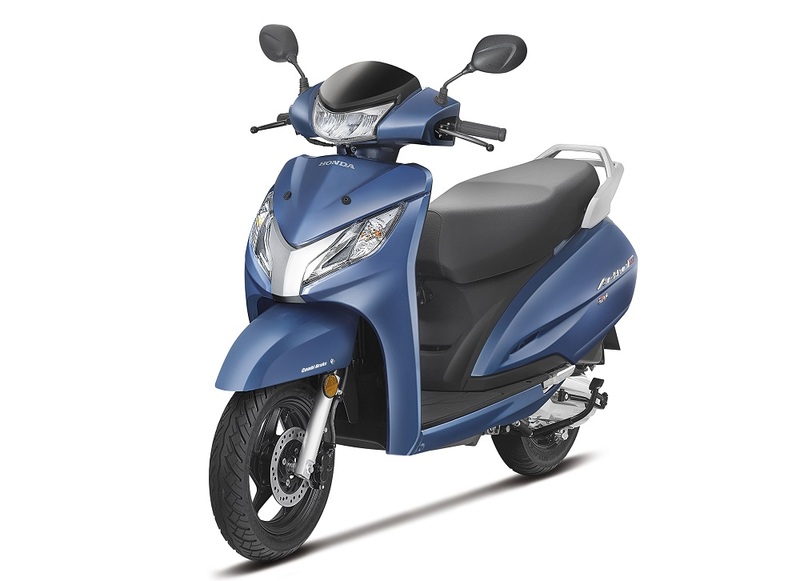 Activa 125 has not been a very brisk seller for Honda and with Grazia also falling off the charts (and Suzuki’s Access maintaining the steam at the same time), Honda has probably decided to give it (the Activa 125) a quick shot in the arm. Since these Japs do not test products out on the open for too long or if it is already under ARAI tests, expect a formal launch within the coming few months or some weeks! This is the current Activa 125 for reference. Just for reference, currently the Activa 125 is powered by a 124.9cc single cylinder BSIV compliant engine which is capable of producing 8.52 bhp of peak power at 6500 rpm and 10.54 Nm of max torque at 5000 rpm. It retails at Rs 59,921 (drum), Rs 61,858 (drum alloy) and Rs 64,307 (disc) ex-showroom Delhi.